The first ever FreeSync capable monitor has arrived in UK stores. It’s a 4K model and is a whopping $170 cheaper than the G-Sync equivalent. This coincides with our exclusive report a month ago when we told you that FreeSync capable monitors will begin shipping this month and will be significantly less expensive than their Nvidia G-Sync counterparts. The Monitor in question is iiyama’s 28″ ProLite B2888UHSU-B1 4K monitor and it’s already available for purchase on Overclockers.co.uk. The FreeSync 4K monitor costs 390 British Pounds, which is equivalent to about $600 USD. It uses an identical panel to Acer’s 4K G-Sync monitor the Predator 4k2k XB280HK. Which costs 500 British pounds at the same e-tailer, roughly $770 USD. Both monitors also share functionally identical stands. As far as we can tell the only difference in functionality between both monitors is that one supports G-Sync while the other supports FreeSync. Even though the FreeSync monitor from iiyama actually ends up with a longer warranty of 3 years vs the 2 year warranty from Acer. 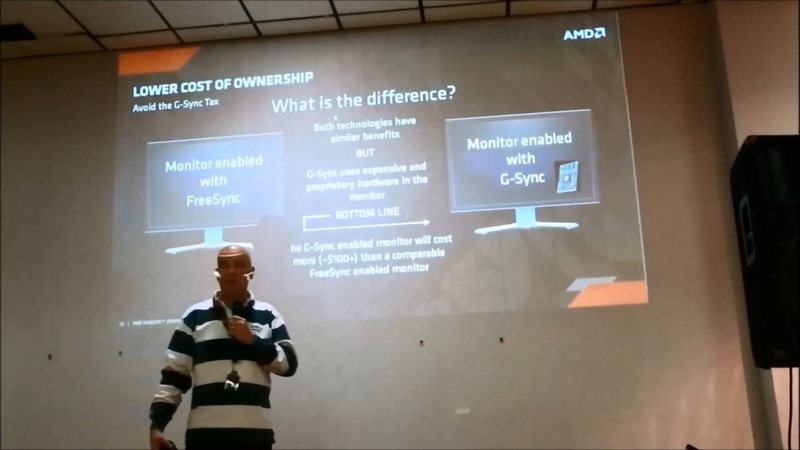 AMD had originally estimated that FreeSync monitors would cost $100 less than identical G-Sync enabled ones. As it turns out this estimation was actually fairly conservative as the difference at least on these two particular aforementioned models amounts to roughly $170. In fact from what we can tell the FreeSync enabled monitor from iiyama actually costs exactly the same as other 4K monitors of the same sort of spec that don’t support variable refresh rate. There’s a small caveat however for this particular model. Iiyama claims that while the monitor is compatible with the FreeSync / Adaptive-Sync VESA standard it will require an update to enable this functionality. The company is currently offering a free of charge service to do this upgrade for you. However we suspect that the update merely requires a Firmware/BIOS update as AMD’s Gaming Scientist Richard Huddy has indicated before. So you may be able to update it yourself without taking/shipping it to the company. In any case this is the first FreeSync capable monitor to arrive in the market, with many models shipping this month and arriving the next. 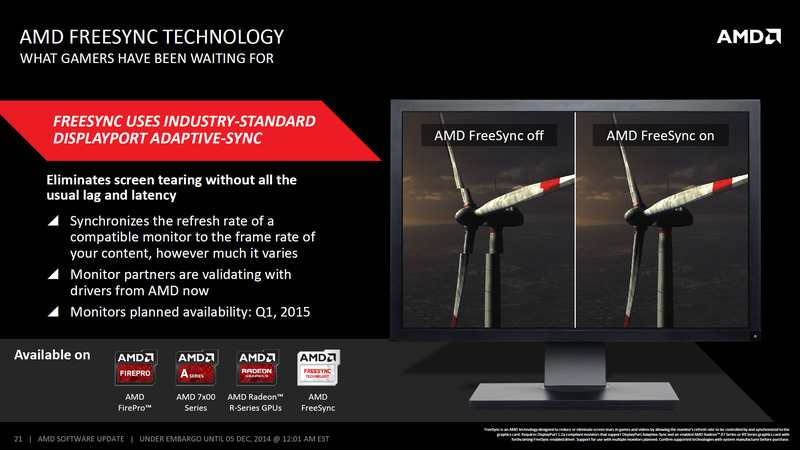 The number of FreeSync compatible monitors will be quite large. So potential buyers will have a good variety to choose from. We’ll make sure to keep you updated as more models are released. We’re certainly hoping that the upcoming ones from Samsung, Acer, Asus, Dell and the rest will be just as good of a deal as the one we saw today.